Do be creative. On our application we ask all candidates to briefly explain what makes them unique. This is an opportunity to stand out and tell us some interesting facts about your life outside your day-to-day work. Are you an aspiring improv comedian? Do you have a special hidden talent? Do you speak 6 languages? And speaking of cover letters, don’t forget to include one! While we do not require a cover letter, it always impresses us when a candidate takes the time to write a thoughtful and customized cover letter. It does not have to be long, but tell us why you want to work at Propeller and why it makes sense in your career story. To learn more about how to ace the interview process, read our blog post on the dos and don’ts of interviewing. Jodi Nelson likes to map out what’s coming next. That means research, short- and long-term goal setting, and a project list she can cross off as each item gets done. It’s a skill she applies to renovation projects at home as well as at work, where she has spent a career helping people reach their goals. 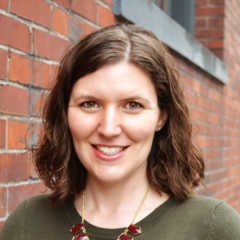 She holds an MBA from Portland State University and a bachelor’s degree in business from the University of Oregon.